According to the French art historian Francastel, Courbet looked outstanding and talented. He was the son of a vineyard owner which lived in northern French Franche—Tai mountain. He always persisted in his old ways and looked very confident. When he was young, he was aggressive and easy-going. Such complex personality was not contradictory. When he laughed, he made people feel warm. But once he was stuck up, the tone of his voice made his best friend feel cold. What kind of artist is he? This painting gave us the image of the enlightenment. Before 36 years old, Courbet seemed to be immature in art. In his several portraits paintings, he sometimes showed a self-pitying state. He looked at the mirror and cogitated in thinking, representing very elegant life and temperament. Self Portrait The Man With A Pipe was his best representative painting. 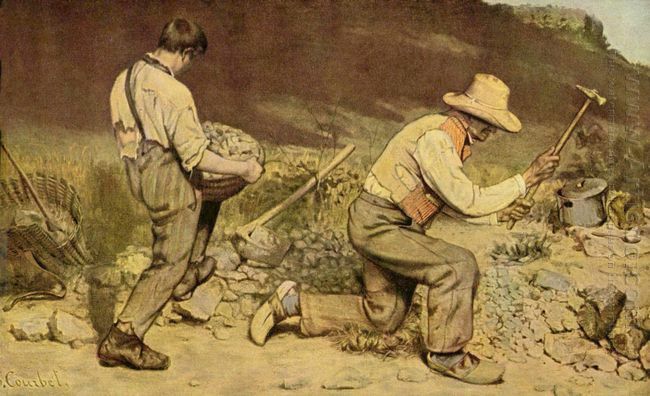 In this painting, Courbet used very simple colors. There was a drunk and crazy person in the painting showing tolerance and self respect. Some people said he "happily drew himself and intoxicated himself in the painting" (the French critic Silvestre commented). Although this was a critic, it was the truth for the painter. Indeed, from this self-portrait, a viewer could feel the pride of Courbet, and this was determined by the firm belief that Courbet dared to choose his own art road. 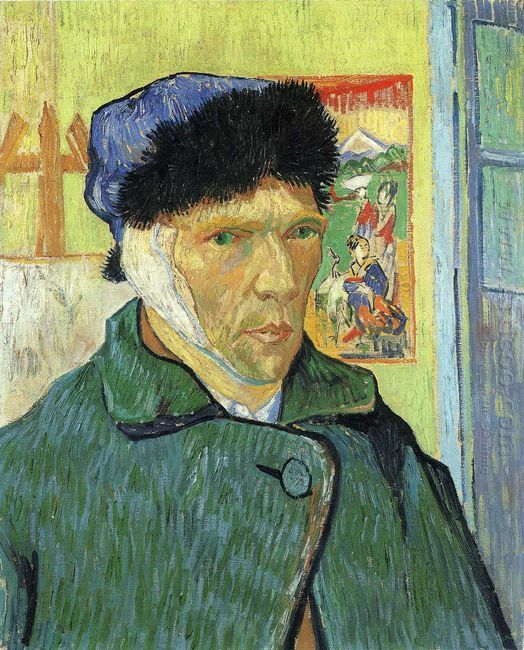 Anecdote: Fighting for a Prostitute, Painter Paul Gauguin Cut Van ..
Reported by Daily Mail, although according to the description of history, Van Gogh's ear was cut off by .. 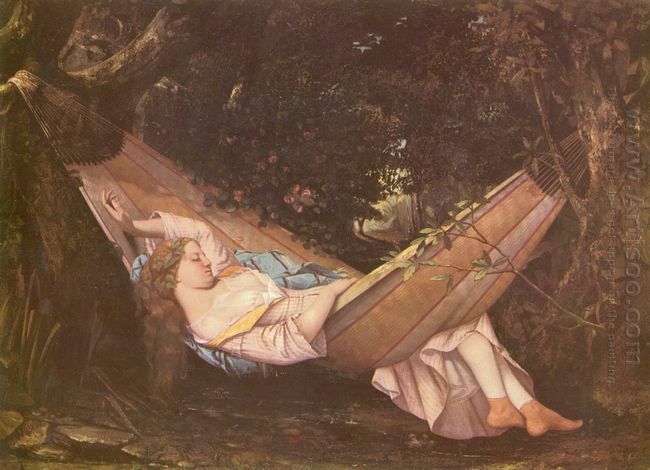 The Hammock The Hammock was made by Courbet in 1844. It measures 70 x 97 .. The Source（Bather At the Source） was made in 1868, which measured 128 x 97 cm. Now it is preserved .. 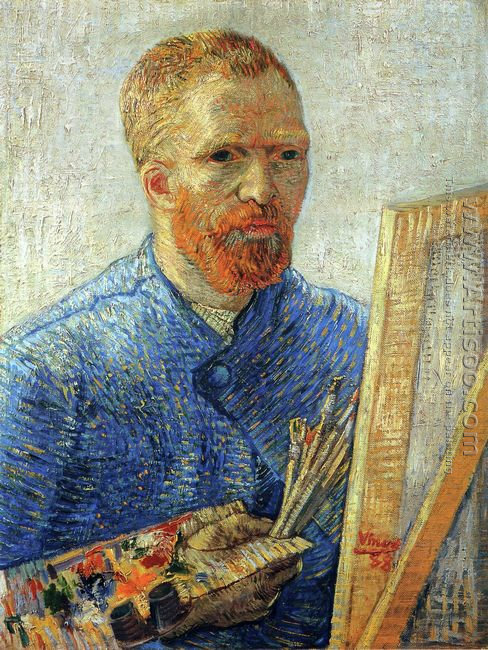 The Stone Breakers The Stone Breakers completed in 1849 was an important representative work of ..
Self-portrait was painted by Van Gogh in 1889, 65*54cm, which is the collection in Orsay Museum in Paris. Van Gogh .. 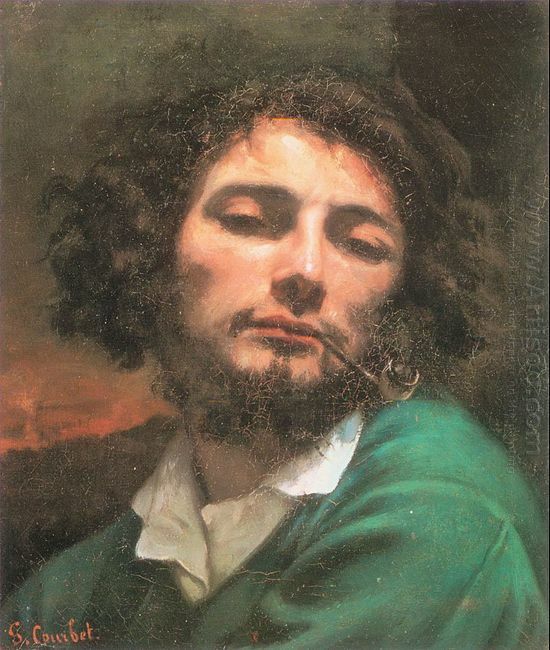 This entry was posted in Oil Painting and tagged colors, Gustave Courbet, man, oil painting, pipe, Self portrait. Bookmark the permalink.